Bangui, 19 July 2018 – In a context in which routine healthcare has broken down and many communities are left without even basic medical treatment, many children living in the Central African Republic (CAR) are missing out on routine vaccinations. From 2015 MSF, in partnership with the Ministry of Health, launched an unprecedented campaign to vaccinate more than 213,000 children against nine common illnesses. 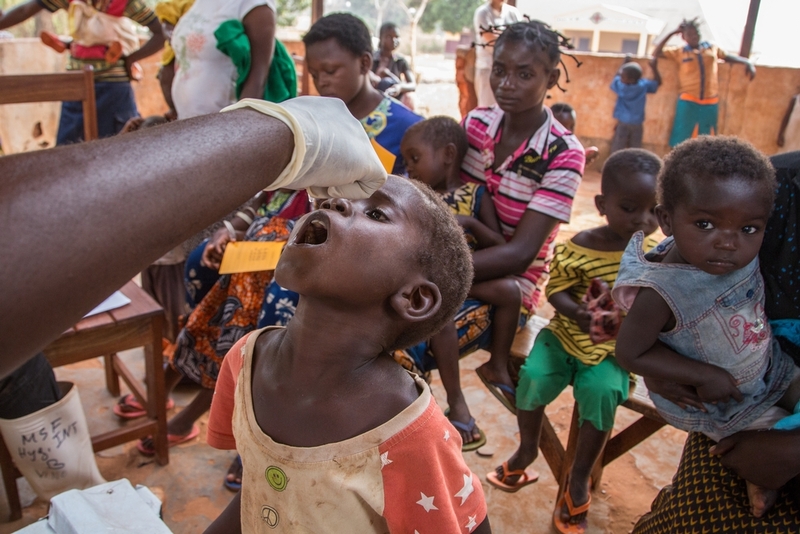 In 2011, while working across the Central African Republic, MSF’s medical teams found that vaccination coverage for childhood illnesses was very low. This was contributing to alarmingly high levels of mortality - well above the emergency threshold - as easily-preventable illnesses such as polio and measles affected unvaccinated children. On top of the existing violence, displacement and health issues that spring directly from conflict, children were being left at risk of a lifetime without protection from deadly threats from the most common yet easily-preventable childhood illnesses. This situation was compounded in the aftermath of the deadly civil war that took place in 2013-2014 when the percentage of immunized children collapsed. Official Ministry of Health figures showed that between 2012 and 2014 the number of Central African children vaccinated against measles fell from 64% to 25%, and those vaccinated against acute respiratory infections from 52% to 20%. By the end of 2013, only 13% of one-year-olds had been fully immunized. In mid-2015 MSF teams, in partnership with the Ministry of Health, sought to address this problem by rolling out a two-year-long mass vaccination campaign in six of the seven health districts across the country. MSF also committed to reinforcing vaccination activities in MSF-supported health facilities. 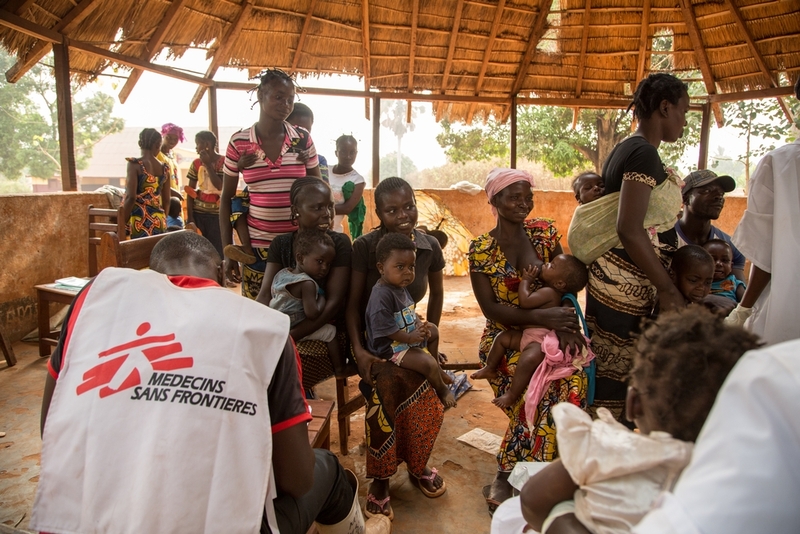 In many areas, MSF’s teams were able to administer vaccines to the population only shortly before renewed violence broke out, rendering the community inaccessible. A boy receiving an oral vaccine. In total, more than one million vaccines doses were administered to children under five years old. As well as ensuring lifelong protection from illnesses such as diphtheria, tetanus, whooping cough, polio, influenza, hepatitis B, pneumococcus, yellow fever and measles, MSF conducted nutritional screening, provided medication for malaria treatment and vitamins, deworming treatments and distributed soap and mosquito nets. The campaigns took place in 15 prefectures in which MSF had an existing presence: Berbérati, Sosso-Nakombo, Dédé-Makouba, Gamboula, Amada-Gaza, Bangassou, Bakouma, Ouham-Pende, Carnot, Bria, Mbaiki, Moungoumba, Kabo, Batangafo, and Ndélé. 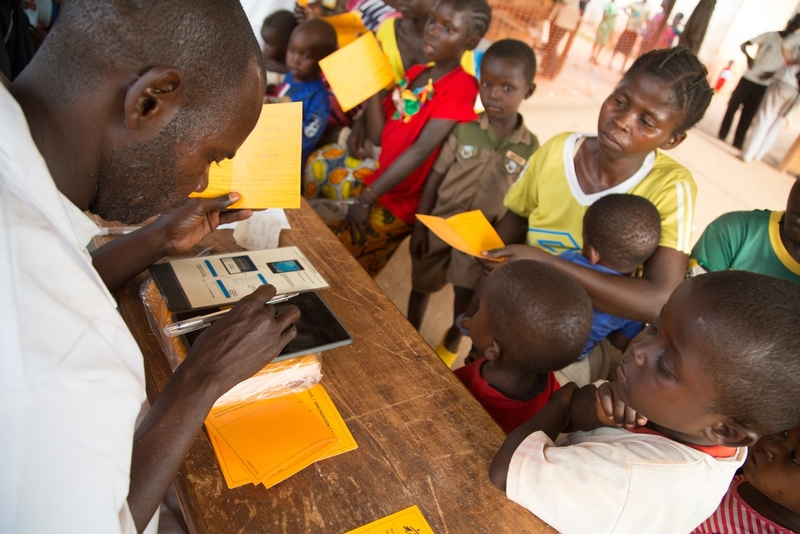 Médecins Sans Frontères tested new technology to facilitate and simplify the prescription of vaccines to children. According to follow-up studies conducted by MSF immunization coverage in the areas targeted by the campaigns has significantly improved, with vaccination coverage following the first round above 80%. 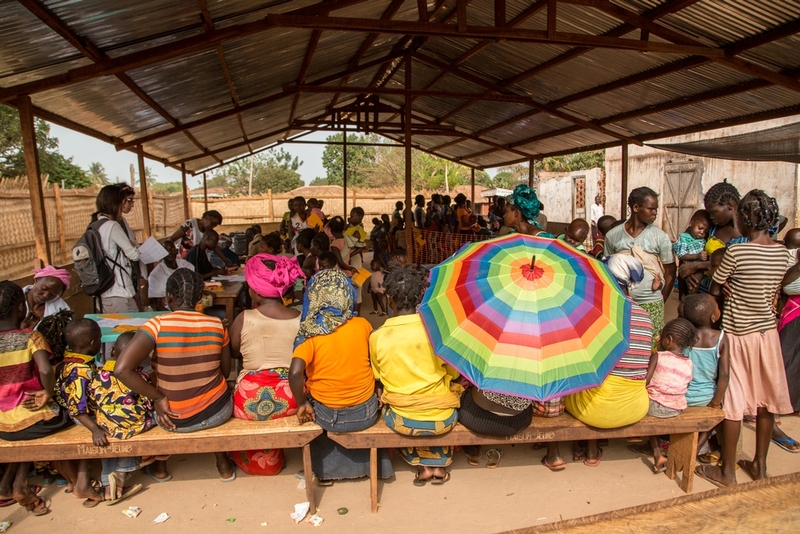 Lessons learned from the campaign continue to guide MSF’s response to emergencies in areas where immunization coverage is still low and the population’s ability to access to medical staff and vice-versa can quickly deteriorate. Efforts are now focused on continuing to aid routine immunization programs in MSF-supported health structures. Médecins Sans Frontières is an international, independent medical humanitarian organisation. Working in the Central Africa Republic since 1997, MSF provides a range of free medical services in Bangassou, Bria, Bambari, Kabo, Batangafo, Paoua, Bossangoa, Boguila, Carnot and the capital Bangui.